Other information: Good with other cats and dogs. RCR Community Cat team volunteers are used to rescuing cats off the street when tending to our managed Community Cat colonies, but it was a surprise to one of our volunteers to discover a little cat family in her own backyard. Luckily, she was able to quickly scoop the little family and get them socialized and ready for adoption. Greycie is a stunning soft and sweet kitten who will happily accept all the pets and cuddles you can offer. She loves to play with her siblings, and is a fun and fun-loving cat who will make a great family pet. She is good with the dogs and other cats in her foster home, and always welcomes attention from her human friends. 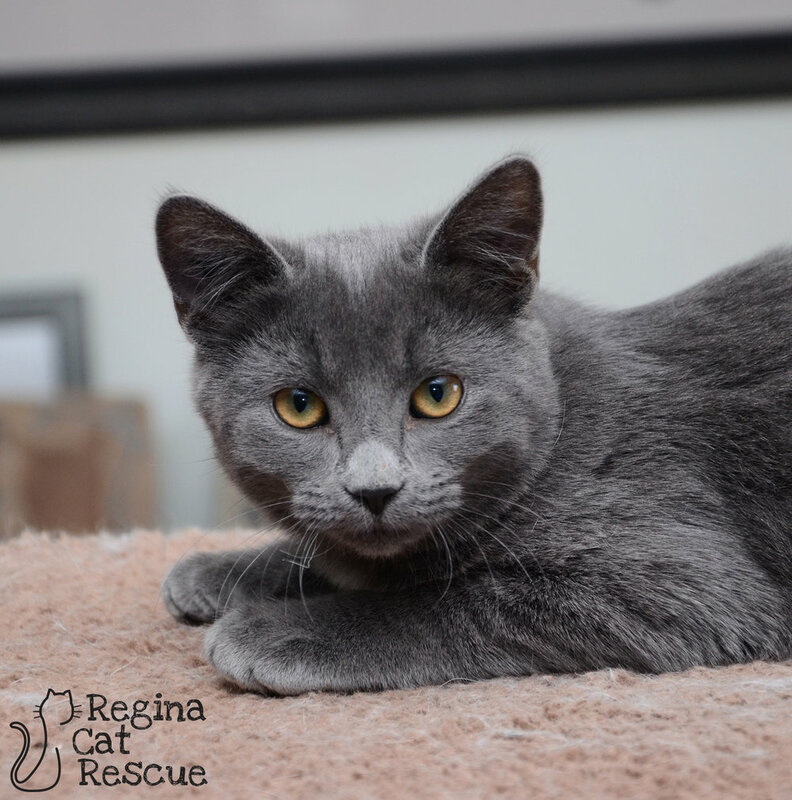 If you are interested in Greycie, click here to view our adoption contract and click here to complete an adoption application or email the RCR Adoption Coordinator at adoptions@reginacatrescue.com for more info.